What do you do when you have leftovers? 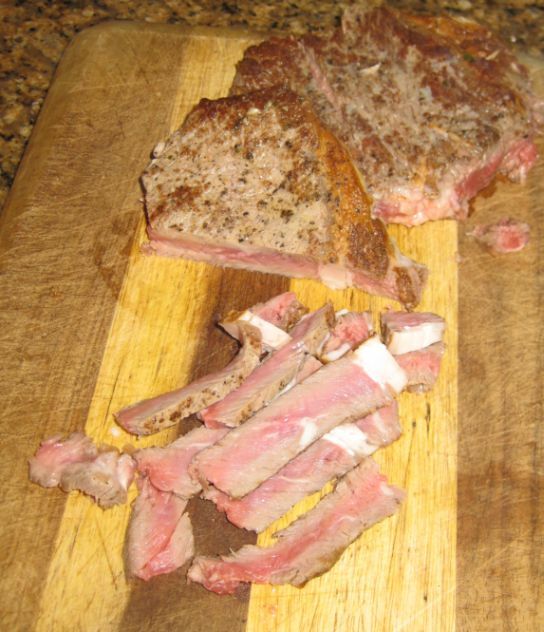 There is only 2 choices: reheat it and eat it as is or if you are more creative you turn the leftovers into another dish and this is exactly what I am doing with my pan seared rib-eye steak leftovers. 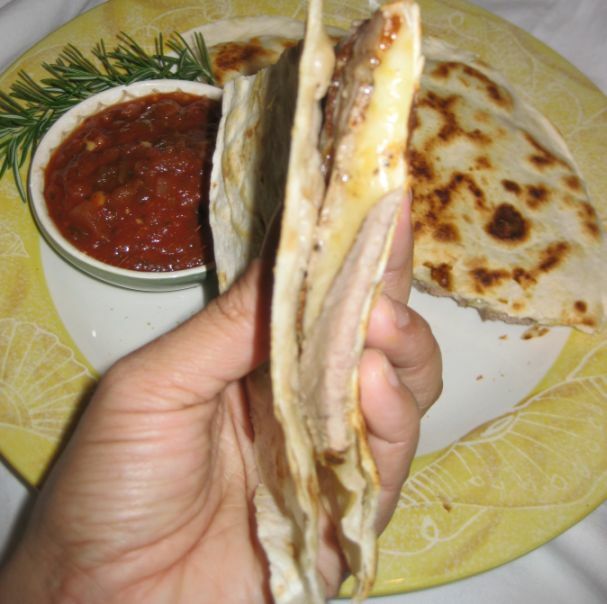 I turned the leftovers steaks into Quesadillas and it is a completely new dish. 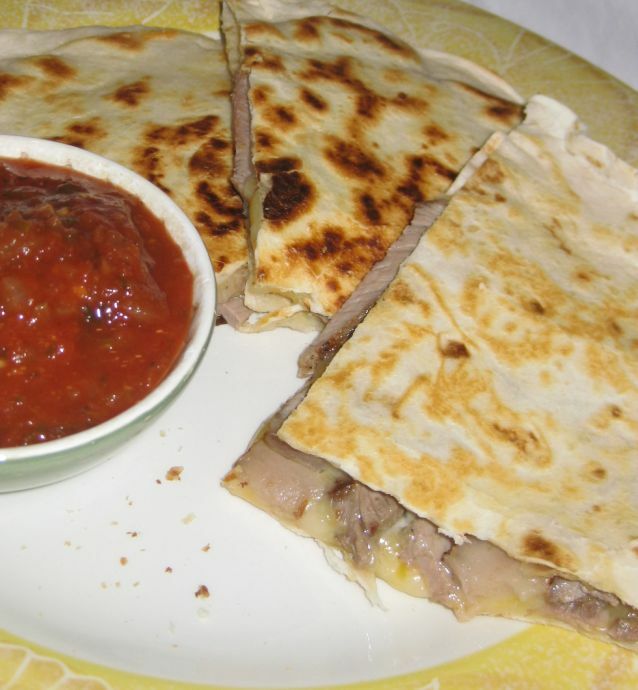 A quesadilla is a Mexican food made primarily of cheese filling on corn or wheat tortilla and cooked until the cheese is melted. Occasionally a second ingredient is added with the cheese to add variety to the dish. Here the 2nd ingredient is rib-eye steak! 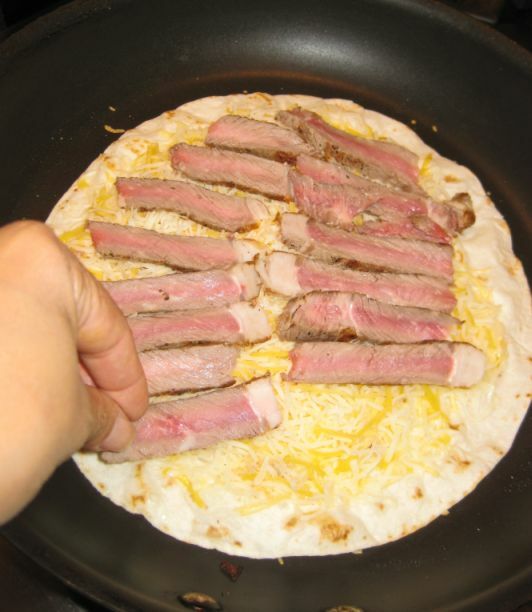 Actually, Kevin is always looking forward to have cheese quesadilla with rib-eye steak. 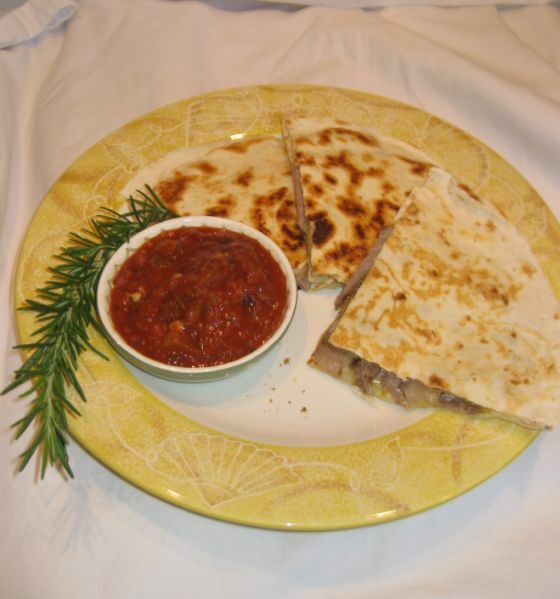 The quesadilla is excellent with store bought spicy tomato salsa but it is also good without any dipping sauce. Kevin enjoys the melted cheese and the rib-eye is tender, flavorful and very satisfying to eat! This dish is actually very easy to make and you can prepare in less than 10 minutes! it can b e served as an appetizer or a main course. This dish works well with chicken leftovers or even shrimps. Close look at the quesadillas. I am helping myself with a quesadillas... yum! Heat an oiled pan - medium heat and put the 1st tortilla in the pan and let it brown a bit. 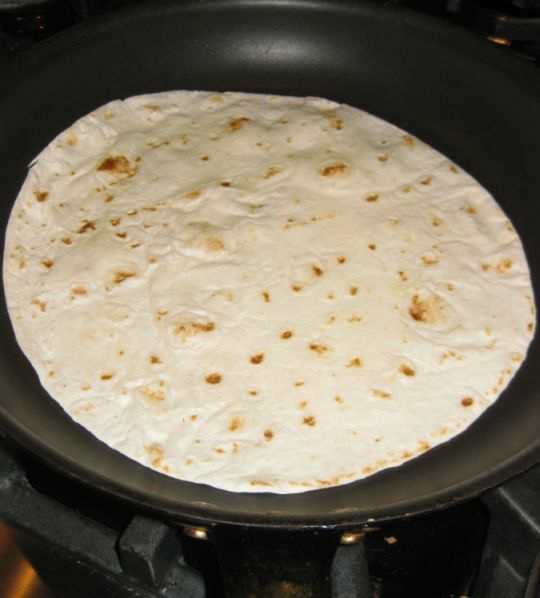 Flip the tortilla and let it turned brown for a bit and set it aside. 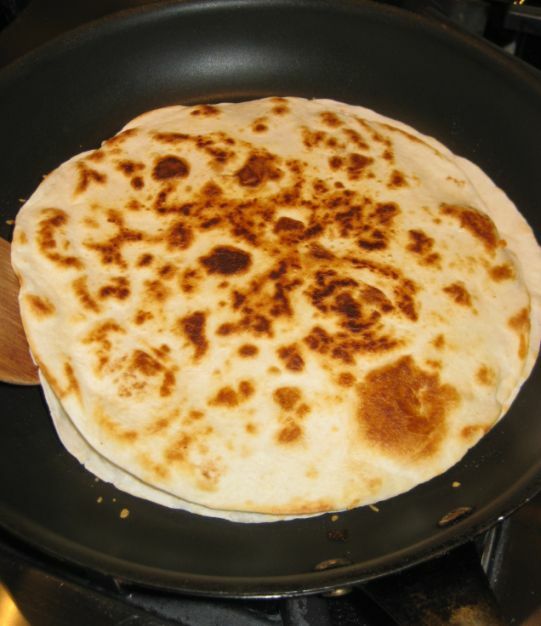 Add the 2nd tortillas to the pan and repeat browning process. 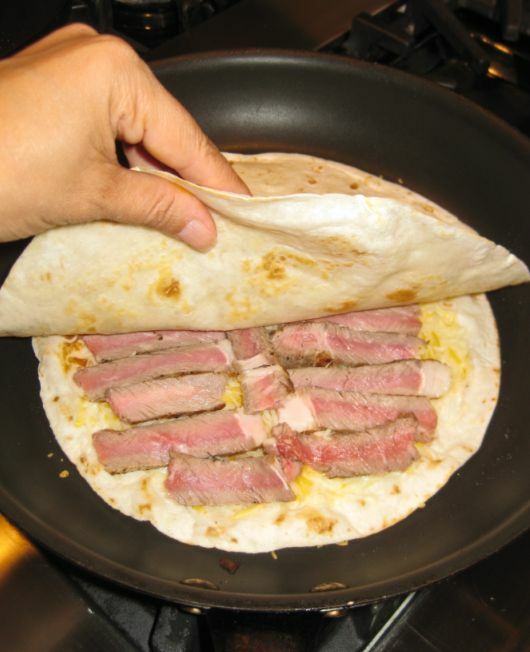 While the tortilla is browning in the pan, cut the leftovers steaks into thin slices. 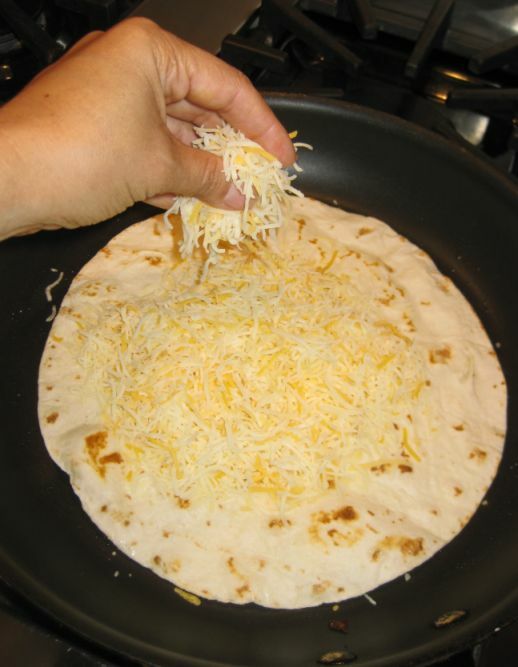 Next, add the shredded Mexican cheese on top of the quesadilla and turn the heat a bit lower because you do not want to burn the quesadilla before the cheese is melting. Then add the 2nd tortilla on top and let it cook for a few minutes or until the cheese has melted. 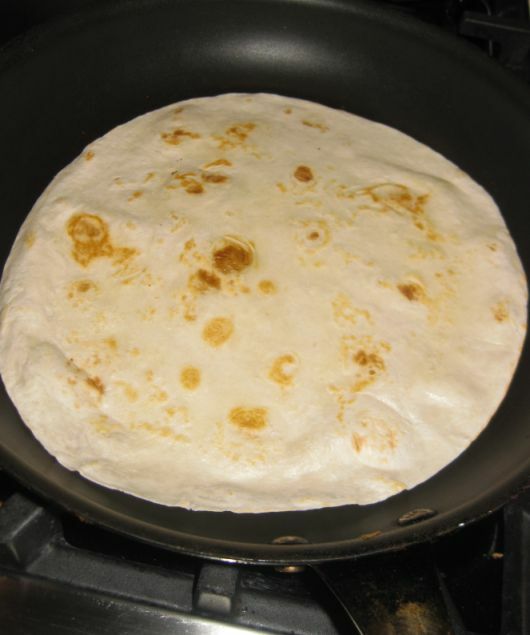 Flip the tortilla and continue to cook it until it nicely browned.